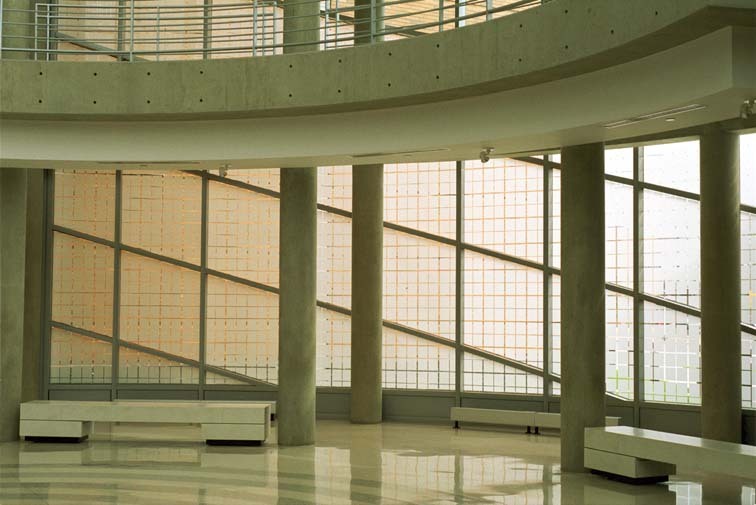 The theme of the Sioux City Art Center building is continued in the interior. Light adds adds a dimension to the play of line, curved and straight. 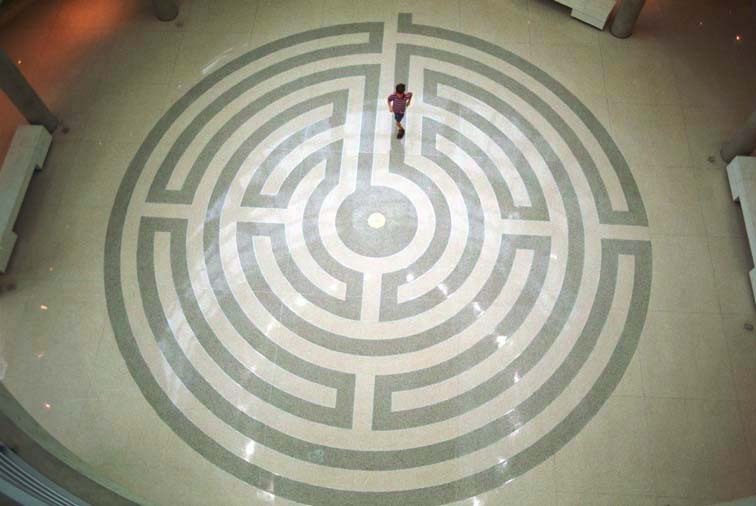 The floor in the center of the cylindrical atrium is a maze in light and dark terrazzo tile. 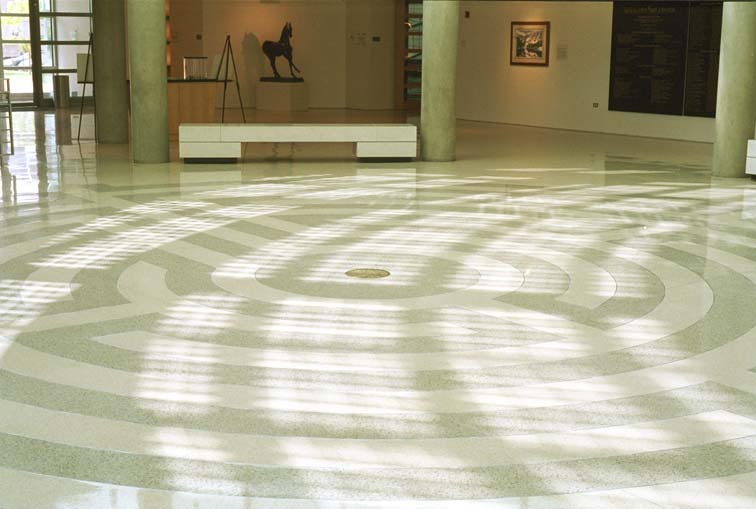 The light from the three stories of window above plays against a circular maze. 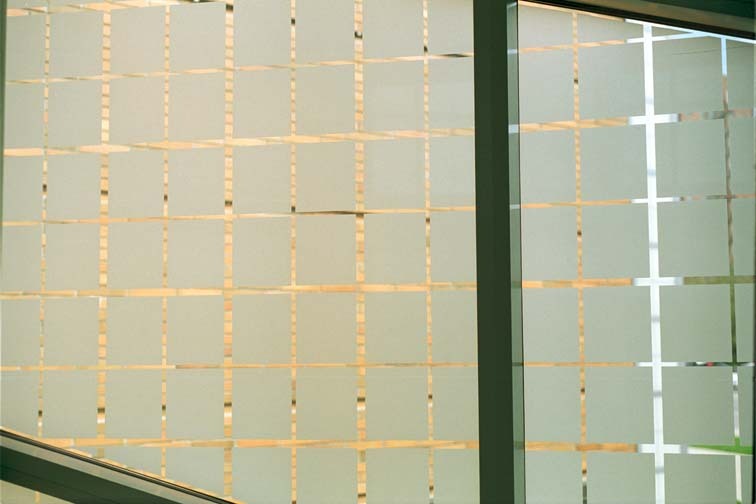 There is a quarter-cycle spiral staircase around the atrium that follows the curve of the glass panes shown here. This is a close-up of the glass wall, the orange brick of the wing beyond just showing through. There are three floors on the central staircase. The second floor is for classrooms and offices. The third is exhibition space. There is a small balcony off the third level from which you can observe the atrium. This is a view of Thomas working his way through the maze taken from that balcony. 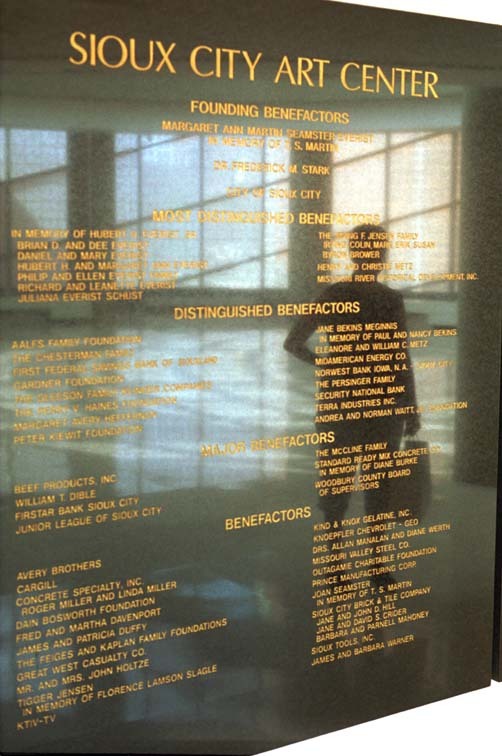 The benefactors' tribute panel picks up the light and line of the atrium in this portrait of Lynne.